Adding the Book Appointment button improves the chances of converting your website visitors into customers. Embedding the button to your Jimdo website doesn’t require extensive coding skills because Setmore automatically generates the code you need, simplifying the process. Once clicked, the Book Appointment button will open your Booking Page so your customers book an appointment directly to your Setmore calendar. 1. 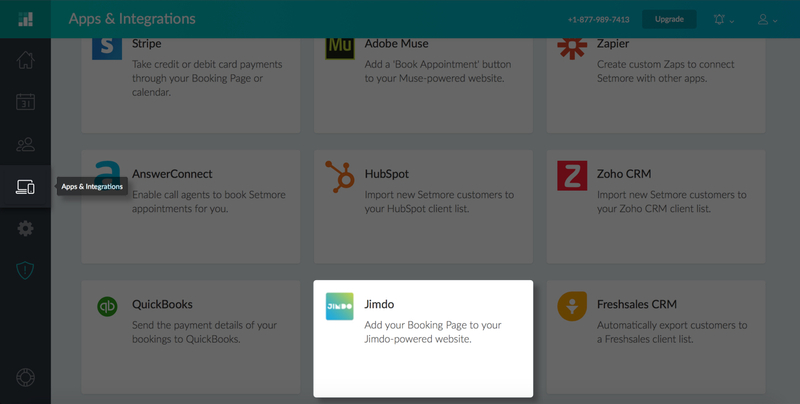 In Setmore, navigate to Apps & Integrations, scroll down and click the "Jimdo" card. 2. 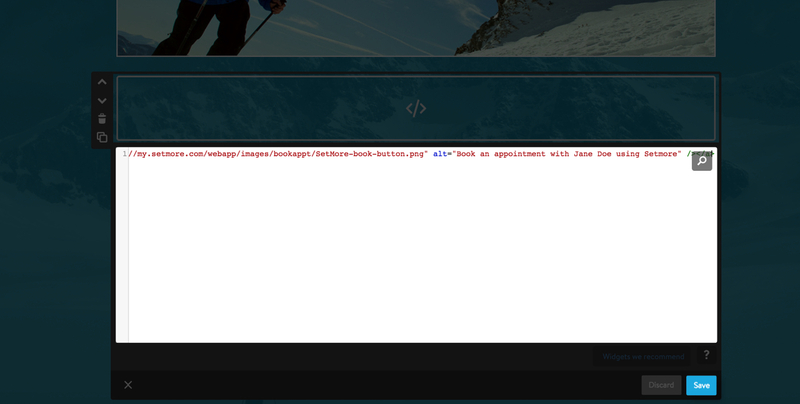 Beneath the box that contains the HTML code, click the “Copy” button. 3. 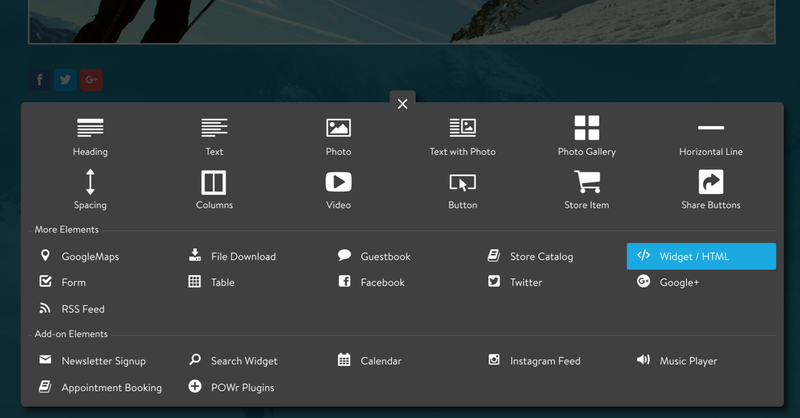 Now, go to your Jimdo website and add a HTML widget to your website. 4. 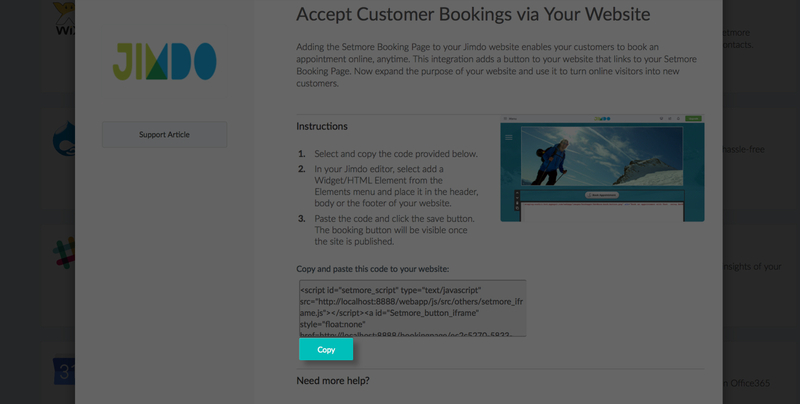 Add the code that you copied from Setmore into the HTML widget editor and click the Save button. 5. The Book Appointment button will appear when you publish your website.